This August, Bhutan beckons all as the Mountain Echoes Literary Festival returns with its 9th edition. 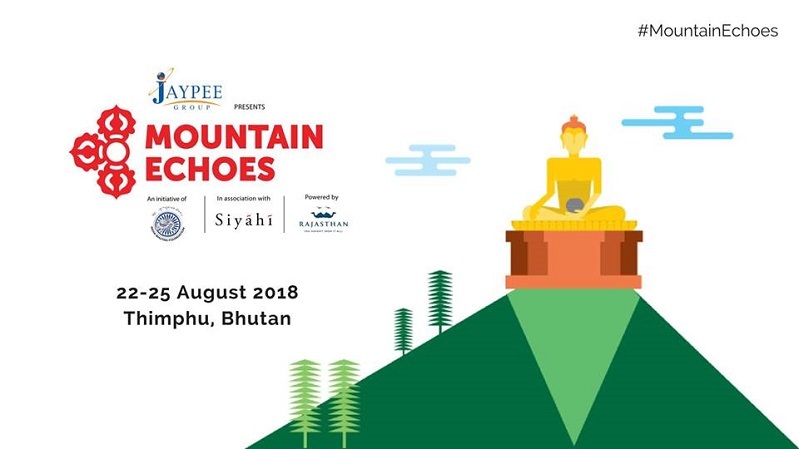 An initiative of the India-Bhutan Foundation and India’s leading literary agency, Siyahi, the festival will be held from August 23rd – 25th in the Bhutanese capital of Thimphu. Presented by the Jaypee Group and powered by the Department of Tourism, Government of Rajasthan, the Festival is known for bringing together literary stalwarts from across the world in the lap of the Himalayas. This year’s edition of the Festival will celebrate 50 years of formal diplomatic relations between India and Bhutan and will pay tribute to the rich cultural ties between the two nations. As each year, the three-day festival will celebrate Untouched Beauty, Unexplored Ideas and Unstoppable Voices from the heart of the Himalayas. The 2018 edition will focus on subjects such as Spirituality and Philosophy, Performing Arts, Environmental Conservation, Food, as well as Film & Theatre, among others. Each session will witness noteworthy names being a part of engaging discussions with the audience, thereby bringing together a range of expertise and perspectives on stage throughout the three days. Bhutan’s literary festival was established under the patronage of Her Majesty the Royal Queen Mother Ashi Dorji Wangmo Wangchuck, and the ninth edition of the festival will serve to be a collaborative platform for knowledge sharing, leading to a global cultural potpourri of ideas. The inaugural session will see His Excellency Ambassador General V. Namgyel (Bhutan’s Ambassador to India) and His Excellency Ambassador Jaideep Sarkar (India’s Ambassador to Bhutan) in conversation with Dasho Chewang Rinzin (Deputy Chamberlain to His Majesty the King of Bhutan Jigme Khesar Namgyel Wangchuck). The three eminent personalities will lead a discourse on 50 years of friendship between India and Bhutan. Continuing the literary extravaganza across the festival will be named such as Andrew Quintman, a scholar of Buddhism in Tibet; authors and environmentalists Daniel C. Taylor and Dave Goulson; celebrated spoken word poet Sarah Kay; renowned Indian singer Usha Uthup, Indian actors and theatre veterans Naseeruddin Shah and Ratna Pathak Shah. Other prominent speakers attending the three-day festival include Nilanjana Roy, author of The Wildings, Kunzang Choden, Bhutan’s first woman writer to write an English novel; L. Somi Roy, the author of Binodini: A Photographic Memoir; Chador Wangmo, author of various illustrated children’s books, Kezang Dorji, one of Bhutan’s most loved rappers, Dechen Roder, director of Honeygiver Among the Dogs, and Tandin Bidha, actress. Adding to the heritage and legacy of the festival will be popular names such as Tiger conservationist Valmik Thapar, theatre personality Sanjana Kapoor, celebrated dancer Dr. Sonal Mansingh and Ritu Dalmia celebrity chef and author of popular culinary books Travelling DIVA and DIVA Green. 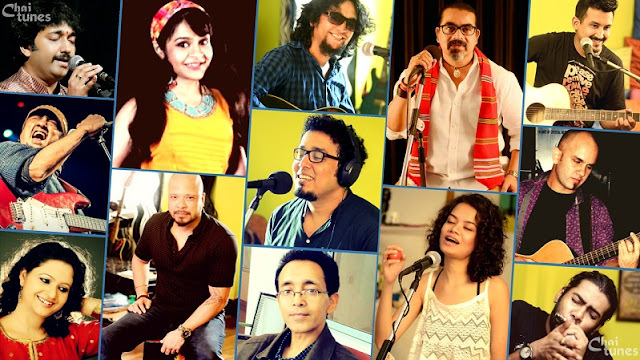 The 2018 festival will also explore global and locally relevant subjects related to Natural History, Travel, and Poetry, including a tribute to 50 years of the Beatles in India, amongst others. Founder and Co-Director of Mountain Echoes, and celebrated author Namita Gokhale said, “Mountain Echoes, the Bhutan Literary Festival, is an exuberant celebration of cultural connectivities, resonating with the joys of books and cinema, the shared narratives of music and folklore, food and sport, as well as deep spiritual perspectives, and the challenges of our changing world. This year, we also have a special and important focus honoring the strong ties between India and Bhutan in their 50th year of diplomatic relations. The ninth chapter of the Mountain Echoes Literary Festival will combine the breathtaking locales of Bhutan with its cultural prowess. Bringing together the best of minds from Bhutan and the globe, the festival will discuss a host of topics making a strong connection with the literary enthusiasts. Its idyllic location and programming make it one of the most unique literary festivals in the world and a leading event in the international literary calendar. Thank you so much for sharing this post! Are you looking for a best tour services in India then book this le meridien thimphu bhutan one way at very affordable price. So plan you trip and book here.